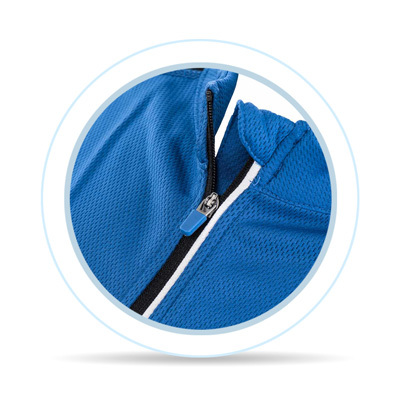 A base or a thermal layer is a fundamental layer for all sports activities. It is natural, that physical activity causes sweating. Sweat works as a temperature regulator and prevents overheating of the body. When exercising in cold weather conditions, it's particularly important to draw perspiration away from the body as quickly as possible, because damp clothing may cool the body too quickly. 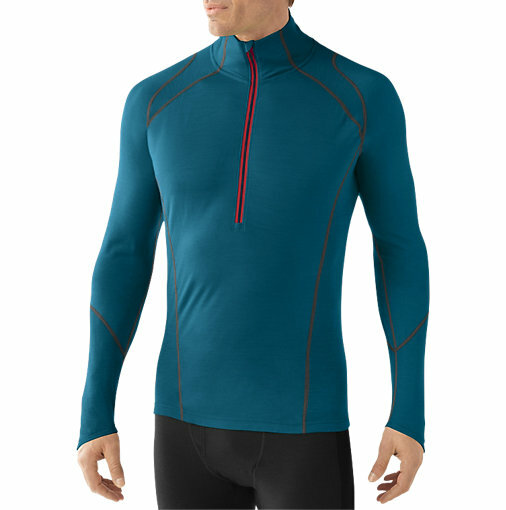 A thermal base layer in this case performs its function as a layer that wicks perspiration away from your skin while insulating simultaneously. Functional garments should be worn straight on the skin so it can keep you warm and dry. Functional garments provide their unique attribute thanks to the used material, which does not absorb humidity and instead lets it go through towards the external layers of the clothing and out. This is called breathability. How does it work? If you apply a drop of water on a cotton shirt, the water soaks into the fabric and takes a relatively long time to dry. But if you apply a drop of water on a polyester shirt, water spreads on the surface and therefore dries much faster. The structure of the fabric is also important, that is how easily can sweat be transferred into other layers of clothing. Materials for functional garments are produced in varying combinations and thicknesses, but the aim is always to achieve an ideal balance between the removal of moisture, while also retaining a sufficient (but not excessive) amount of heat. Different clothing is worn for different occasions. Clothing with better breathability and sweat wicking function is ideal for biking in the summer, but for winter skiing we need as much heat retention as possible. Functional clothing for winter is also known as thermal clothing. The most common materials for a base layer are polyester and polypropylene, as they retain almost no moisture, are lightweight and relatively comfortable. Cotton on the other hand, retains a lot of moisture, making it unsuitable as a material for technical sports clothing. Merino is a material with very good moisture wicking (low absorbency) and outstanding thermal insulating properties and is pleasant to touch just like cotton. Merino wool is also naturally antibacterial, so the buildup of bad odour from perspiration is minimal. People with sensitive skin may initially find this fabric itchy or otherwise irritating but after several washes this feeling should disappear. How to Wear Base Layers? • To ensure its proper function, the base layer should fit closely, fitting comfortably but not too loose. Higher quality (usually more expensive) garments usually fit better because of the form-fitting design and elastic materials used to produce the clothes. • Complete outfit is a way how to secure proper functionality of the garment. Even the best functional garment will be inefficient if used over a cotton underwear, which would concentrate the humidity in the most delicate parts of the body. • Layering is always a good idea. 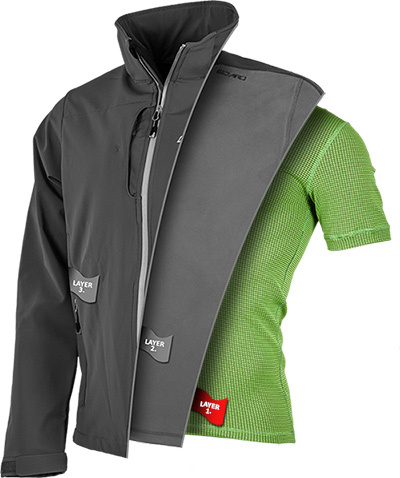 Two shirts warm you up better than one shirt with increased thickness. • It is physically impossible to stay completely dry even in extremely humid conditions, as the humid air cannot absorb the moisture from your clothes. • If you are planning a short-term but physically demanding activity in cold weather, dress to feel slightly colder after leaving the house. When you start your activity, your body heats up slightly, but you will not sweat too much. • Functional clothing is to be washed according to the instructions from the manufacturer written on the laundry tag. Do not use any kind of softener! Watch out for Velcro zips, delicate fibres of the functional clothing can be easily snagged or pulled.